Latest News: You can make your bookings for Le Mans Classic 2020 now! The confirmed dates for the event are the 3rd – 5th July 2020. Please call us now to reserve all your tickets for Le Mans Classic 2020. A great opportunity to camp with fellow British race enthusiasts at the centre of the famous Le Mans circuit on campsites exclusive to Travel Destinations. 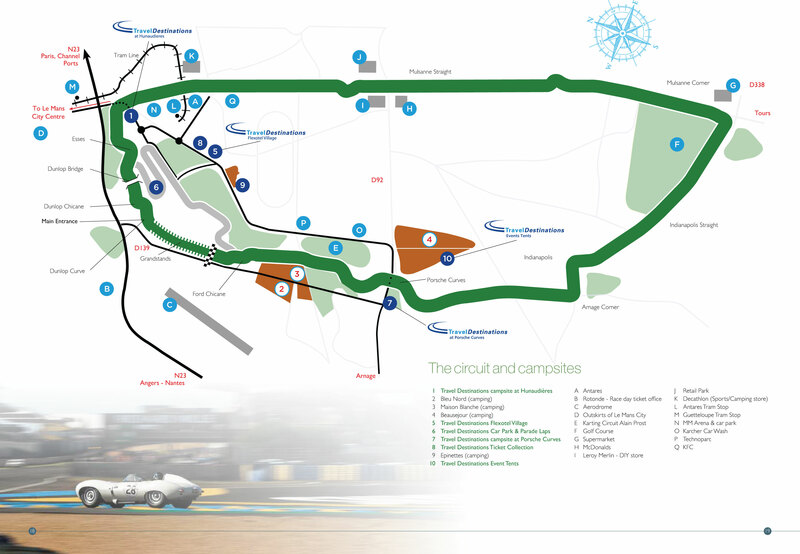 Our campsites are located at Hunaudieres on the inside of the Tertre Rouge corner, and on the famous Porsche Curves. Both campsites are trackside so you cannot be closer to the on circuit action. is located inside the track adjacent to Tetre Rouge Corner with 1 block of serviced showers & 1 block of WC’s. The campsite benefits from 24hrs security & only Travel Destinations guests staying in the campsite will be able to gain entry. The campsite has marked pitches of approximately 7m x 5m. 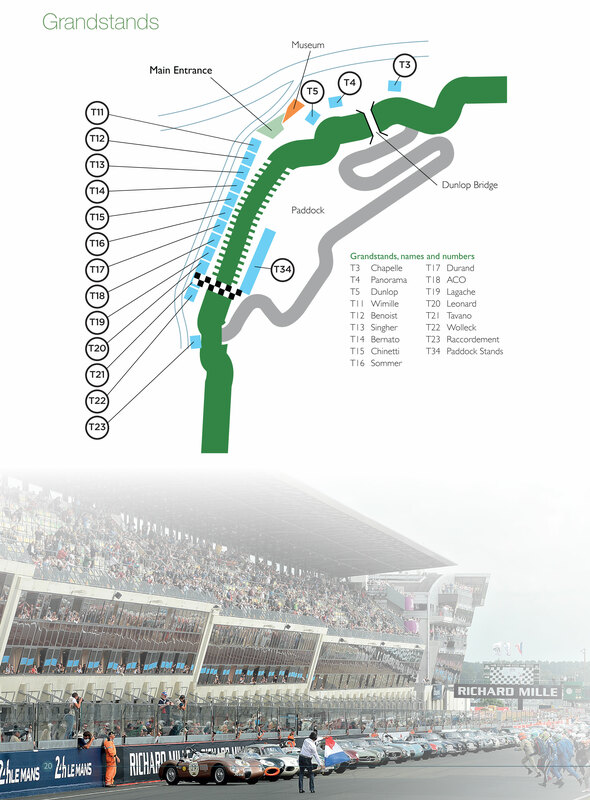 is located trackside within the Porsche Curves section of the circuit. It has 1 blocks of serviced showers and 1 blocks of WCs. The campsite has 24 hours security & only Travel Destinations guests staying in the campsite will be able to gain entry. The campsite has pitches of approximately 7m x 5m. if you require more space, additional pitches may be purchased. Please enquire at the time of booking. All prices are per person based on a minimum of two people in a car, sharing one camping pitch. Single person prices are available on request. All Travel Destinations campsites will open Thursday at midday and will close Monday at midday. Travel Destinations’ private camping is located at the trackside and include 24 hours security, and fully serviced toilet and shower facilities. Camping plots are marked and numbered and are approximately 6m x 5m. Should you require more space extra plots can be purchased. Please enquire at the time of booking. Deposit: A deposit of £100.00 per person must be paid at the time of booking to secure your reservation. Any grandstand seats must also be paid at this time. All balances are due 10 weeks prior to departure. Any bookings made within 12 weeks of the event must be paid in full.